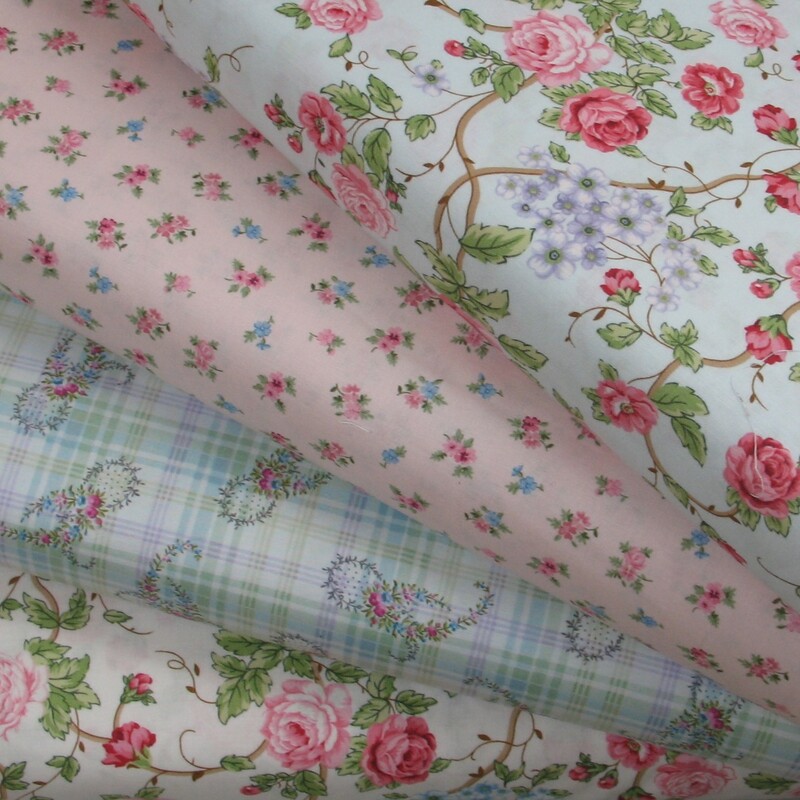 Patchwork Parcel's Morning in the Garden Half-Yard Cuts Fabric Bundle features beautiful floral fabrics from Henry Glass Fabrics' “Morning in the Garden” collection by Mary Jane Carey of Holly Quilt Designs. Bundle includes four half-yard cuts of coordinating fabrics (2 yards total) - plus a pattern! Fabrics are all quilt-shop quality fabrics. Shipping is a flat rate of $6.00.